1- This 3.1 Phillip Lim skirt that I have been crushing over since it hit the runways on fashion week less than a year ago. Here's how I would wear it. 2- Vanity Fair issue of July that features John Galliano's first interview after recovery (and first-ever sober talk). Plus there's Channing Tatum on the cover! No buts, this is a must buy. 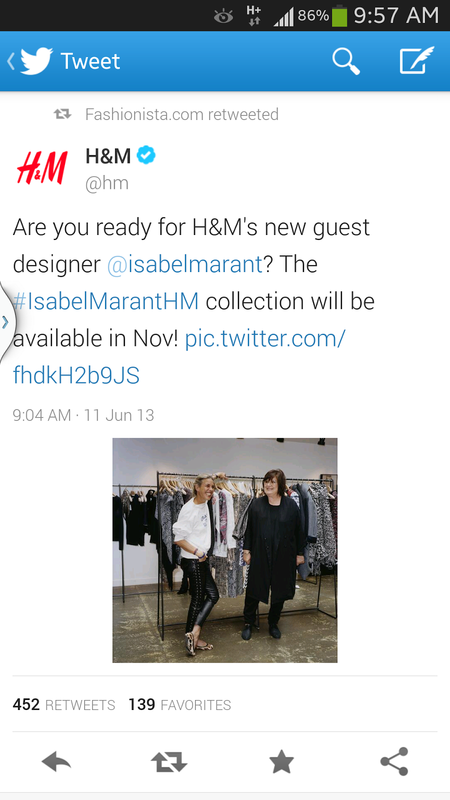 3- Isabel Marrant's limited edition collection for H&M that is launching on November. (Don’t ask about the woman, you must know her). As Elle UK puts it into words, the queen of cool is about to make her high street debut.